I am a creative, technically minded person who loves helping solve problems and get people’s admin and techy stuff get done. A big part of what I do is communications. It involves managing social media, broadcast emails, managing WordPress websites with new products, blogs and SEO. I make pretty graphics in Canva and I’m often the go-to person to help others when they are stuck with something they can’t do in Microsoft Office and other applications. I also manage events and I’m comfortable with public speaking and MC work. Plus I just sort out general day to day issues that may pop up and need problem solving, as well as general admin duties. I am heavily involved in business networking. I am on the Executive Committee of the Greater Dandenong Chamber of Commerce. 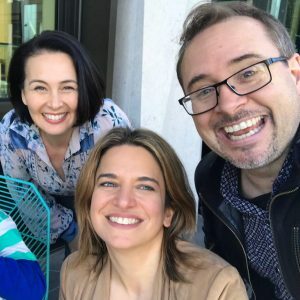 I am founder and admin of an online Facebook Group called “SEMBA South East Melbourne Business Associates” which connects local businesses and provides resources and opportunities for business people. I also LOVE music and have a background singing and performing. 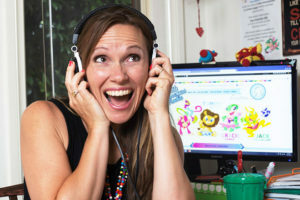 I have a business called Jolly Joeys, which sees me create and deliver music programs to preschool children in child care centres. I LOVE helping children to find their voice, overcome shyness, and lay the building blocks for pursuing music. And I also help manage the Facebook Group Mumlife Community, which has about 17,000 members and organises regular meet ups to connect mums. So I am involved in event planning as well as ensuring attendees are well looked after and feel welcomed (especially since they may be nervous).